Download 3S USB Mass Production Utility v2.084 and repair corrupted Solid State System chip controllers .3S USB Mass Production Utility ver 2.084 can repair SSS6677,SSS6679,SSS6686,SSS6689,SSS6690,SSS6691 and SSS6692 . 3S USB Mass Production Utility v 2.084 has been designed to fix corrupted SSS flash drive chip controllers .3S USB Mass Production Utility v2.084 support repairing the following 3S chip controller "SSS6677, SSS6679, SSS6686, SSS6688, SSS6689, SSS6690, SSS6691, SSS6692 " . SSS USB Mass Production Utility v2.084 can repair Solid State System Format errors such as write protection error ,insert disk error ,Raw flash disk and other format issues .You must know your flash drive chip vendor first before you using any software ,you can use Chip genius software or USB Deview V2.30 utility. Please Read this article to know how to extract your flash drive information "How to repair corrupted flash disk " . 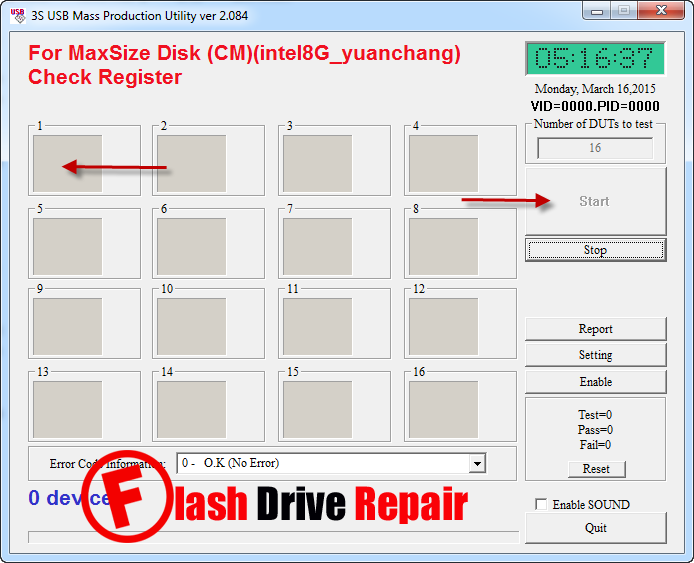 If 3S USB Mass Production Utility v2.084 doesn't fix your flash drive , please use another version of 3S USB Mass Production Utility or leave a comment . How to Update 3S flash drive firmware ? 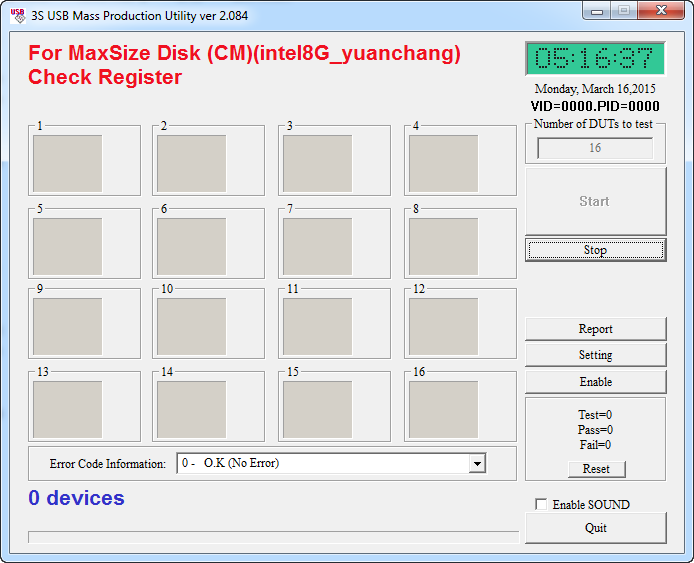 First Download 3S USB Mass Production Utility v2.084.rar from the download links below . Insert Corrupted SSS flash drive to your computer . Extract 3S USB Mass Production Utility ver 2.084.rar and open U3S_MP_v2.084.exe . Click on the first choice and click Enter .See the following Pictures . If your flash drive chip vendor is one of the following "SSS6677, SSS6679, SSS6686, SSS6688, SSS6689, SSS6690, SSS6691, SSS6692 " , you will see your flash drive info appears on the software interface . Click Start to begin updating SSS chip firmware . If this Version doesn't fix your flash drive , you should try another version of SSS USB Mass Production Utility .